V.C. 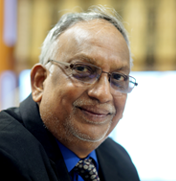 Nannapaneni has over 42 years of experience in the Pharmaceutical Industry. He has worked in the US for more than a decade in various Pharmaceutical companies. 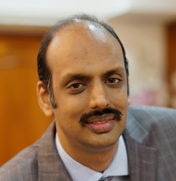 He holds Bachelors and Masters Degree in Pharmacy from Andhra University , Vishakapatnam, India in addition to this he also holds a Masters degree in Pharmaceutical Administration from the Brooklyn College of Pharmacy, US. Currently. Along with general management he also oversees the New Drug Discovery programme of the company. Rajeev Nannapaneni has worked at Merill Lynch and Natco Systems LL.C in USA. He joined the Company in the year 2000. He has got wide experience and exposure in General Management, New Business / New Product Development in India and for International markets. He holds B.A degree in Quantitative Economics and also B.A in History from Tufts University, Boston, USA. 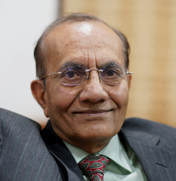 Dr.D.Linga Rao has over 39 years of experience in the pharmaceutical industry and has been working with Natco for over 21 years. He has vast experience in various departments like R & D, Quality Control, Quality Assurance and Regulatory. He has previously worked with Indian Drug & Pharmaceuticals Limited (IDPL) & Novochem Laboratories. His education background includes M.Sc. Applied Chemistry (Organic Chemistry) & Ph.D in Chemistry from JNTU, Hyderabad. In addition he had undergone training on Applications of High Performance Liquid Chromatography at Singapore. 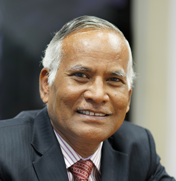 Mr T.V Rao is a Graduate in Commerce and Associate Member of Indian Institute of Bankers (CAIIB). In his career spanning over three decades, he has experience in general banking, corporate finance Mortgage backed securitisation and Treasury Management. He has headed the Treasuries of National Housing Bank, SIDBI and Exim Bank. G.S. 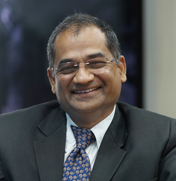 Murthy was the first Managing Director at Investor Services of India Ltd., Mumbai, promoted by IDBI, LIC, UTI, SBI CAPS etc. He was on the Board of several Companies as IDBI Nominee. 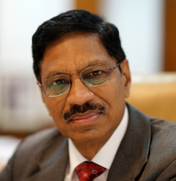 After retirement, he provided services as Legal Consultant at ESSAR Group of companies, Mumbai for about three years and as Senior Advisor for Government of Andhra Pradesh for about nine years for implementation of public enterprise reforms. Mr. Murthy's qualifications include LL.M., F.C.S. and C.A.I.I.B. Mr. Vivek Chhachhi received a B.Sc. (Computer Science) from St. Stephen’s College, University of Delhi (1991) and an MBA from the University of Jamnalal Bajaj Institute, Mumbai (1993). Mr.Vivek Chhacchi was a Director with Citi Venture Capital International (CVCI) and was with Citi’s private equity business for 14 years. During his tenure with CVCI, Vivek worked to identify & invest, manage and exit a large number of companies across a wide spectrum of industries. Shri D.G. 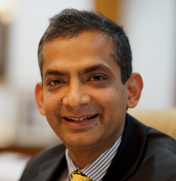 Prasad is a qualified Chartered Accountant and had been a career banker for over 33 years. After being with Canara Bank for over 8 years, Mr. Prasad served Exim Bank of India for over 25 years having joined in 1983, in its formative phase. While being with Exim Bank, as a Chief General Manager, he was the head of Corporate Banking, Agri Business and SME Business Groups. He holds considerable expertise in trade finance, international finance, merchant banking, corporate strategies, mergers and acquisitions, loan syndications, international negotiations and co financing with multilateral agencies. He has been a guest faculty at business schools on international finance and marketing. 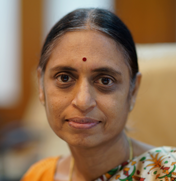 Dr.Mrs.Leela Digumarti did her MBBS from Rangaraya Medical Collage,Kakinada, AP in the year 1983, Diploma in Obstetrics & Gynaecology (DGO) in the year 1986 and MD in Obstetrics & Gynaecology in the year 1987 both from Andhra Medical Collage, Visakhapatnam, AP. She also did Diplomate of the National Boards in Obstetrics & Gynaecology, National Board of Examinations, New Delhi in the year 1993 (DNB). She is a member of FRCOG (UK). She is presently Assistant Professor of Gynecological Oncology at Homi Bhabha Cancer Hospital & Research Centre, Visakhapatnam, Andhra Pradesh. Professor M U R Naidu , Former Dean faculty of medicine and head of the department of Clinical pharmacology and therapeutic at Nizam’s Institute of medical sciences Hyderabad , has completed his medical post-graduation MD, from Jabalpur medical college in 1977. He received advanced professional training in clinical pharmacology in UK, Germany and USA. Dr. Naidu had received WHO Fellowship for advanced training on ADR Monitoring, at Uppsala, Sweden. He is well known clinical pharmacologist with more than 40 years of teaching and research experience. His main area of interest is clinical research especially cardiovascular system and phase I clinical trial. 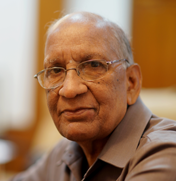 Dr. Naidu has made significant contribution in developing noninvasive methods in clinical pharmacology. He traveled extensively to many countries and was invited as guest speaker in many international conferences. Mr.PSRK Prasad has done B.E. Mech. Engg. from Andhra University, Visakhapatnam in 1981. He worked with Ahmedabad Textile Industries Research Association, Coromandel Fertilizers Ltd., Stiles India Ltd., Tirupati, Saudi Ceramic Co., Riyadh, K.S.A. He has got vast and good knowledge in procuring right equipment(s) and machinery for production processes and to provide all utility services and to utilize the resources like manpower, material in an optimum way and to ensure safety of life and property. 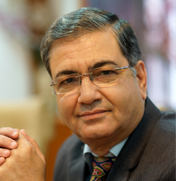 He is presently Executive Vice President – Corporate Engg. Services and looking after the General Administration, Engineering, regulatory, training, environmental matters, safety, health, production and maintenance activities of the Company.